Join us for three days of learning a kind, efficient, safe, and science based approch to training and managing llamas and alpacas. Save time and have more fun! We are a growing alpaca farm featuring a large herd of huacaya alpacas, one suri, and 5 llamas. We specialize in using our fiber to make unique handmade items which my sister-in-laws knit and crochet. We have an on-site farm store and host tour groups year round. Our farm is conveniently located to historic downtown Newberry. In addition, our area features several other agritourism businesses including Enoree Winery and Lever Farms. What is provided: coffee, beverages and snacks in the morning, and lunch each day. A dutch treat dinner will be arranged for Saturday evening at a local restaurant. Airports: Regional Airport CAE Columbia, SC 45 minutes away, Major airport CLT Charlotte NC 2 hours, Travel Tip: GSP is another regional airport with a drive time of around 1 hour 15 minutes. Many times the cost is much cheaper. Parking and check-in seems to be faster at GSP. Weather to expect: It is the start of spring in the south. It could be mild or cool. We will have heaters available if the weather is cool. Things to bring: Sunblock, hat, raincoat or jacket for evenings. Lodging: Hampton Inn Downtown Newberry, SC…Holiday Inn Express at I26 Newberry. I will be able to arrange a discount for Hampton Inn Mention CABO Clinic when calling the hotel. Travel Tip: The Hampton Inn is located in downtown Newberry near the Historic Newberry Opera House. It is within walking distance of great places to eat and/or shop and only 15 minutes to the farm! Cancellation Policy: For cancellations made more than 30 days prior to the clinic, a refund (less a $50 dollar processing fee) will be given. Because of the financial commitment necessary as the clinic date approaches we cannot offer refunds within 30 days of the event. If for some reason, you cannot attend, a rain check (equivalent value) will be issued for attendance at another CAMELIDynamics event. 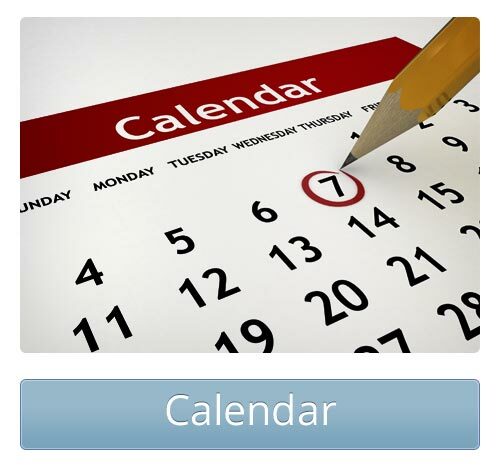 Rain checks can be applied to another training within two years of the cancellation date. CAMELIDynamics reserves the right to cancel any event, if necessary, because of circumstances beyond our control or in the rare circumstance when enrollment is deemed insufficient. In this case, ALL deposits, tuition and processing fees will be fully refunded. Participants are encouraged to consider flight and hotel insurance. ...taught by the person who invented it! Marty has traveled over a million miles around the world teaching her brand of animal understanding. It isn’t enough to have a mastery of the material, a teacher must be able to excite and inspire. Marty is exceptional at both. She uses training aids she developed herself, along with a variety of role playing exercises designed to help owners really understand their wooly buddies. There is nothing like feeling what it is like to wear a halter or to be led, to give you a whole different point of view. Have fun, be inspired and leave with a higher level of skill and understanding. This three day event is designed for all skill levels and includes her very popular "Show like a Pro" day. If you have been to a clinic in the past* consider coming back for a refresher and see for yourself how the method is constantly evolving. The keystone of Marty’s educational program is the Introduction to CAMELIDynamics. 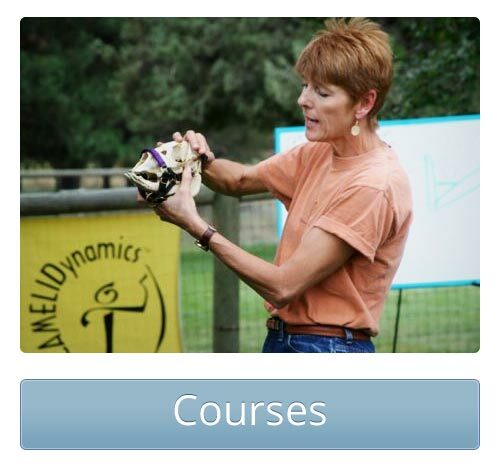 Learn why CAMELIDynamics is the most popular training system for camelids and is still going strong after 30 years! Day 2: The CAMELIDynamics Approach to Herd Management - Have more fun AND get more done! Learn how to effectively and calmly complete the herd management requirements of all camelid owners. Organizing a shearing day and "Shearing Tips and Tricks"
Leading can be fun for both you and your animal. It is a perfect way to build a positive relationship with one another. Leading serves you in many ways: on the trail, out with the public or in the show ring. This class will teach you how to use refined leading techniques and balance to help you and your camelid become a finely honed team. 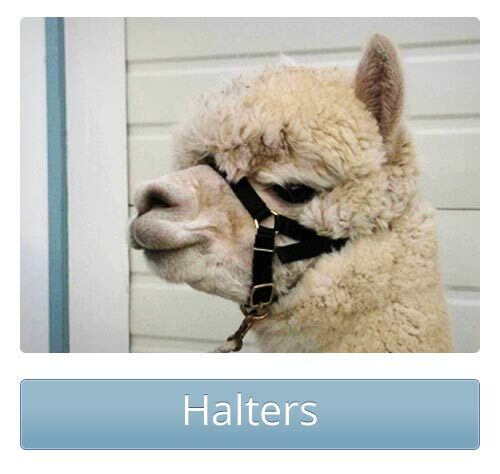 Learn how a halter works and how to make the halter work to communicate what you want your llama or alpaca to do. * If you have attended a two day clinic in the past, email Marty at marty@camelidynamics.com with the date and location to receive a substantial discount on your attendance at this event. 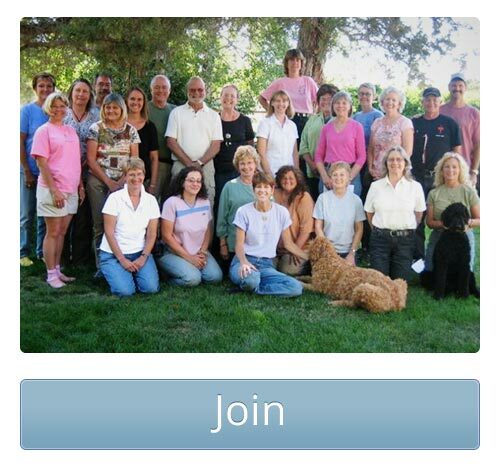 * CABO members receive a $10-30 rebate depending on the number of days attended contact http://carolinaalpacafarms.org/ to join CABO! Learn to use your hands to teach balance. Be the kind of person who has the skill to seemingly work magic with animals. Develop a sense of awareness that helps you see indications of problematic behavior BEFORE it is really a problem. Create a relationship with an animal with your hands that will change forever the way you work with animals. Learn to lead with elegance and style. Use refined leading techniques to create a state of balance and calm. Teach an animal about his balance and create a partnership. Learn to be the kind of person who others ask... How do you DO that? Join others from around the world who use balance and finesse, instead of restraint, to accomplish herd management tasks. Learn now to set up your farm to support a sane, safe, kind approach to handing. Meet other like minded owners and breeders, have fun, and take home brand new skills!